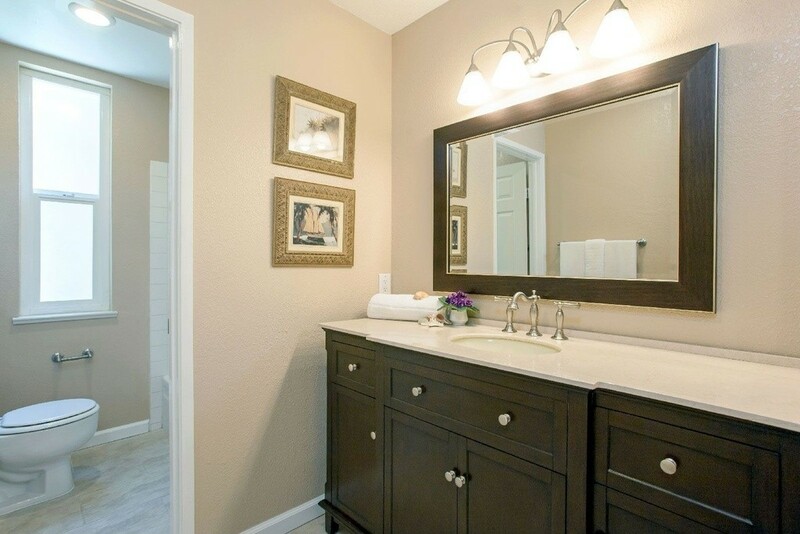 Lighting makes the biggest difference for the feel of your bathroom. For a small bathroom, using white lights instead of your standard yellow bulbs can make it appear larger. Since you’re already shopping for light bulbs, try an Eco-friendly or LED light bulb type to help save on your energy costs! It’ll help you save more in your budget for other small decorative touches. Especially if your bathroom is somewhere where you enjoy taking relaxing baths or spend a lot of time getting ready in the morning, you’ll want your bathroom to give you a calm and relaxing feeling. 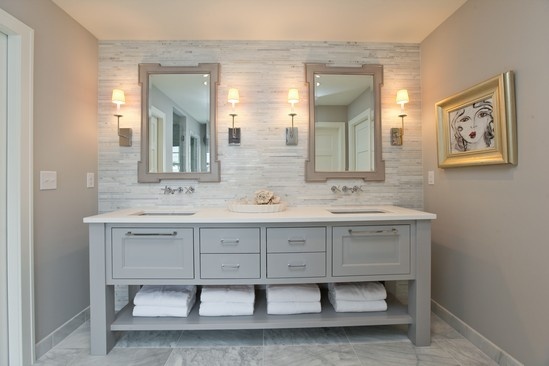 Bathrooms are a great place for neutral colors such as lavender or light grey. 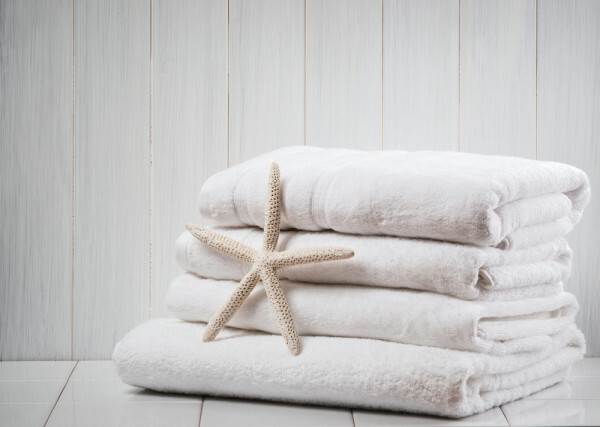 Fluffy all-white towels will give any bathroom the luxurious feeling it needs, just like a fancy hotel. Keep the fresh and clean and always wash with bleach. 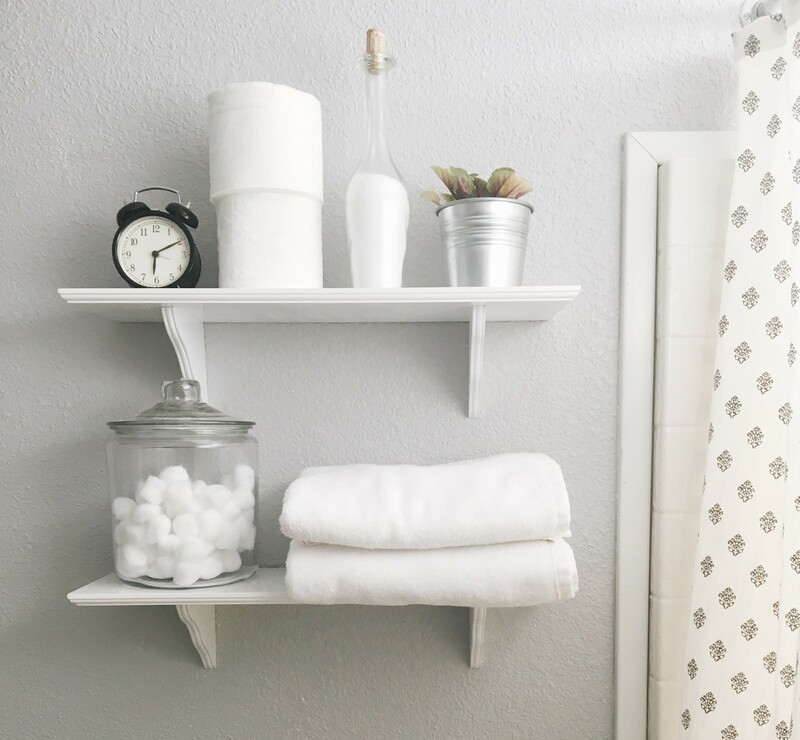 A stack of all-white towels is another inviting and calming look to a bathroom unlike a stack of mixed and matched ones. Add a small end table anywhere if there’s an area for it to fit or use your counter space for your decoration area. Decorate it with a mason jar filled with water and fresh flowers, potpourri, a box of kleenex or a framed picture of the beach. 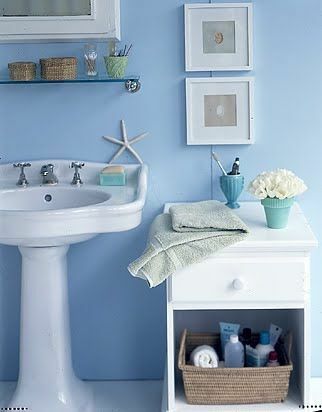 Another great touch is to add or build in storage cubbies either in the corner or next to the sink. Look up some ideas on Pinterest for how to fill each cubby. Shelves can make a huge difference to any room of the house. They give you more storage space for your personal items such as toilet paper, jars of cotton swabs or q-tips, folded hand towels or just a jar of flowers. So many options!